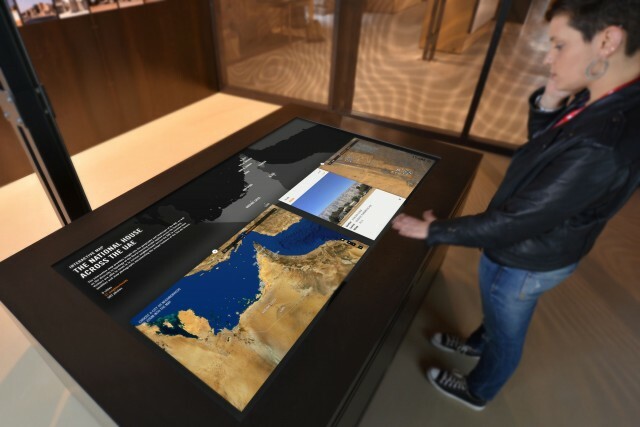 A high-resolution interactive multitouch map was developed for the National Pavilion of the United Arab Emirates at the 15th international architecture exhibition – la Biennale di Venezia. It provides insight into the geography and landscape of the UAE, as well as the diversity in typology of the Emirati National House, also know as the Sha’abi (folk) housing model, applied across the Emirates. The exhibition is open to the public from May 28 until November 27, 2016.